Apple is all set to start initial production of a "small number" of 'iPhone SE' at its Bengaluru plant and start shipping to domestic customers this month. "We are beginning initial production of a small number of iPhone SE in Bengaluru. iPhone SE is the most popular and powerful phone with a four-inch display in the world and we'll begin shipping to domestic customers this month," Apple Inc. said. The Karnataka government had in February announced Apple Inc.'s proposal to commence initial manufacturing operations in Bengaluru. The phones will be manufactured by Wistron, a Taiwanese OEM for Apple at Peenya in the city. 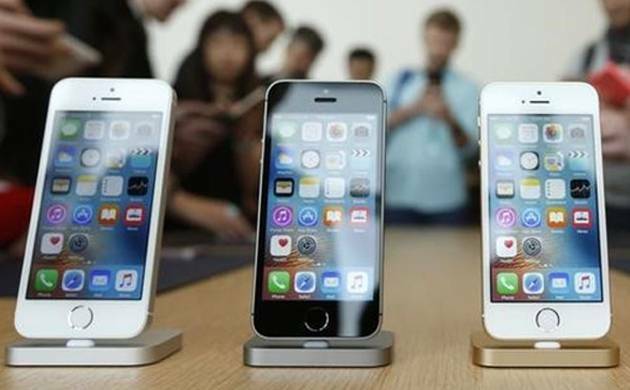 Karnataka IT minister Priyank Kharge had on March 30 said that Apple would be ready to start assembling high-end iPhones in the city in less than a month to boost its chances of gaining a foothold in the fast growing Indian market. Local manufacturing is expected to help Apple price its phones more competitively in India as it currently attracts additional duty on imports. Apple had asked for several tax and other incentives to enter India in the manufacturing sector. The company has been ramping up its efforts to expand its business in India, one of its fastest growing markets. Apple is also keen on setting up retail presence in India and has sought relaxation in local sourcing norms. The company has also announced opening of 'App Accelerator' in Bengaluru, an initiative that would provide support to Indian developers and enable them transform the design and performance of their apps on its mobile operating system iOS.